“Study the problems which have resulted in total exclusion and denial of persons suffering from mental illness the benefits of reservation under Section 33 of the PWD Act and also determine if the threshold of 40% under the PWD Act needs revision based on which an appropriate law could be made, or existing law amended”, said Justice Ravindra Bhat. 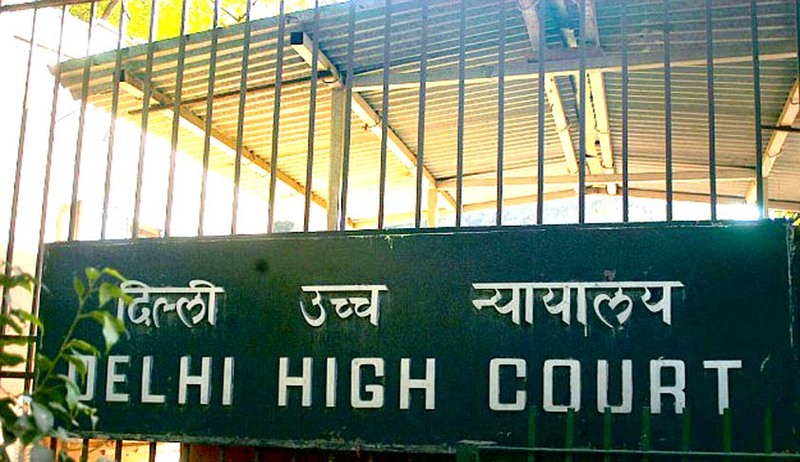 A Division Bench of Delhi High Court comprising Justices S. Ravindra Bhat and Deepa Sharma on Thursday highlighted deficiencies in the Persons with Disabilities (Equal Opportunities, Protection of Rights and Full Participation), Act 1995, and suggested reforms to the same. Justice S. Ravindra Bhat noted such deficiencies in the provisions relating to providing reservations as well as with the common minimum threshold of 40% disability. “Whilst it is within executive domain to categorize which post can be suitable for what kind of person or persons with disability, the absolute minimum threshold of 40% in the case of certain kinds of disabilities could be the barrier – unwitting though the case may be, and eliminate from the post identification exercise persons with such disabilities altogether. This clearly has a discriminatory result, and an indirect discriminatory effect,” the Court observed. It however, noted that it was incapable of providing judicial redress or severe the provisions. “What the court can and proposes, is to direct the respondent and the Central Government to, with the aid of appropriate subject experts in mental illness and disorders, study the problems which have resulted in total exclusion and denial of persons suffering from mental illness the benefits of reservation under Section 33 of the PWD Act and also determine if the threshold of 40% under the PWD Act needs revision based on which an appropriate law could be made, or existing law amended,” the Court concluded. The appellant, Mr. Jadhav Vishwas Haridas had lived with acute phases of mental illness since 1996-97 until 2006. He was therefore a “person with mental impairment/disability” within the meaning of the PWD Act. In terms of the IDEA scale, the disability suffered by him was above 40%, rendering him ineligible to receive benefits in terms of reservation in employment and education. He claimed that due to his illness, he could not be successful in employment (Central Civil Service) exams, despite appearing for the examination seven times. Post 2006, when his condition improved, he found no assistance to compensate for the time lost in combating the mental illness. He had now challenged a Single Judge order dismissing his challenge to Section 33 of the PWD Act. Section 33 only lists i) blindness or low vision, ii) Hearing impairment and iii) Locomotor disability or cerebral palsy as the disabilities for which at least one per cent vacancies must be reserved. Mr. Jadhav had demanded that the provision be declared unconstitutional to the extent that it excludes persons with mental illness for the purpose of job reservations. He had also brought to the notice of the Court that there was no compensatory mechanism, in terms of time lost while fighting the disability and inter alia sought other consequential reliefs. His petition was however rejected, ruling that no statutory or constitutional right of his was violated. Responding to the challenge, the State had argued that the relief sought by the petitioner was already the subject matter of a pending legislation before the Parliament. The Single Judge had accepted these contentions and observed that the Court was not empowered to lay out a time schedule for enactment of a law or making changes in existing legislation. While the High Court agreed with the Single Judge’s conclusions, it did not approve of the plea’s disposal without considering other reliefs demanded by the petitioner. During the hearing, the Court noted that the Respondents were unable to shed any light on the reason for exclusion of those suffering from mental illness from the list of reserved categories entitled to reservations. It thereafter opined that a 40% disability test to provide reservations in employment may be impracticable. “Hence it is the opinion of this Court that in a country where 26,810,557 individuals suffer from different disabilities, a one size fit all model might not be the most efficient. That 40% on the IDEA scale makes individuals more or less employable cannot be held ideal. The legislature may consider to create a model where individuals suffering from different disabilities may be recognized and given benefits in terms of education, employment, health etc. which are suitable to their individual condition. The benchmarking through the IDEA scale may have to vary depending on different disabilities,” it observed. With regard to the penalty of bar from appearing in public employment, the Court was of the opinion that the Central Administrative Tribunal (CAT) may consider in its discretion the proportionality of such imposition having regard to all the facts of the case.